global public relations firm in downtown Boston. The agency provides digital media services, strategic counseling, web development, and video production for some of the world’s most respected brands. A few people who worked for the agency gave us a presentation on the different departments within the firm and the tasks that PR professionals perform daily, focusing on making pitches. Amanda Krugman, Account Coordinator, gave insight on how to effectively make pitches to journalists. She emphasized the importance of researching the journalists’ publications before making pitches so that PR professionals sound confident when trying to sell their clients. She also noted to be direct when making a phone call, starting with a line like, “Hey, want to talk about [subject]?” rather than introducing yourself and asking if the journalist has time to talk, which is less direct and shows a lack of confidence. Patrick Corcoran, Associate Producer, explained the increasing importance of videos in PR today, showing an example of a PSA that he drafted and scripted for the client. Finally, Anand Savani, Senior Account Executive, talked about the significance of strategic media relationships with journalists, reiterating Krugman’s point about doing your research before making a pitch. He also made a point about standing out while networking. 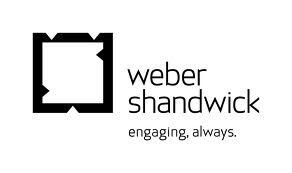 After the presentation, our members got a quick tour of Weber Shandwick. We briefly met more PR professionals in different departments of the firm and got a taste of the agency’s culture. Overall, it was a great experience that gave us a glimpse of what it would be like to work at a global PR agency.